Rovio, the makers of Angry Birds, has just announced the sequel for the Star Wars version of their game. 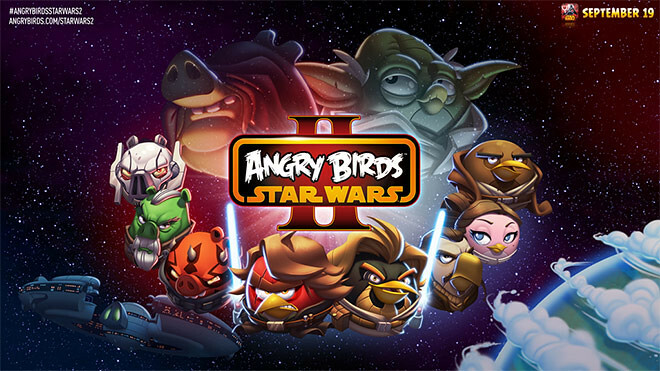 Angry Birds Star Wars II will be launched worldwide on September 19th. To compliment this wide lineup of characters, there will also be a line of over 30 collectable TELEPODS figures from Hasbro. Placing these figures onto your phone or tablet camera will scan your character of choice directly into the game, allowing you to select new characters on the fly.